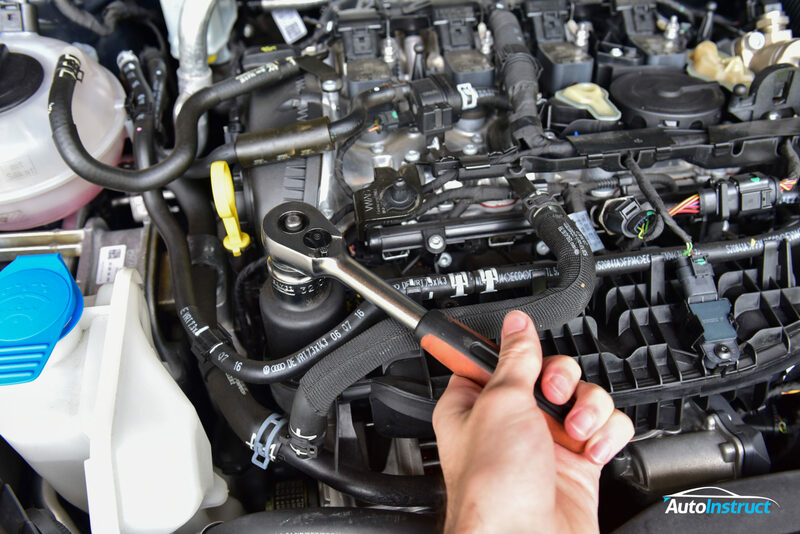 This guide will show you how to perform an oil change on the 2.0L EA888 Engine. This engine can be found in many different models, including the 8V Audi S3, MK3 Skoda Superb, MK3 Skoda Octavia, MK7 Golf GTI / R and more. Our demonstration vehicle is a MK7 Golf R.
Raise the car on a hoist, trolley jack, or ramps for easy access to the sump plug at a later stage. First we will change the oil filter. Remove the engine cover and locate the oil filter housing. 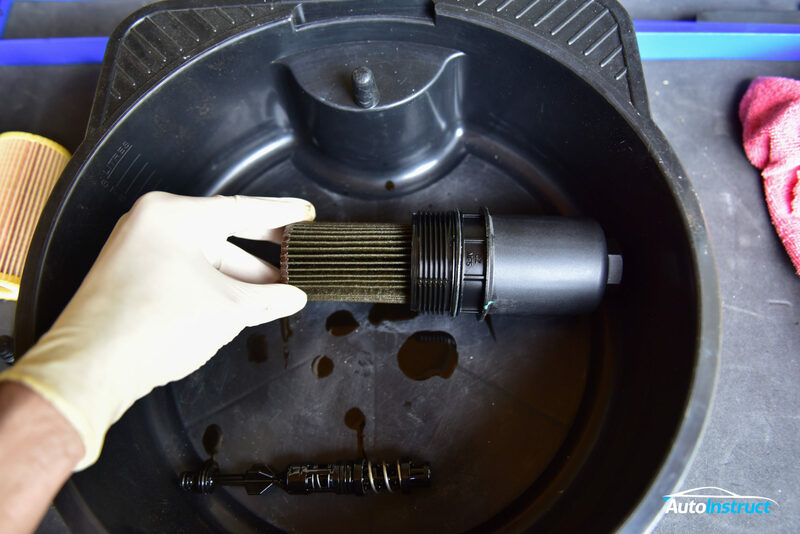 Using a 32mm socket, loosen and remove the filter housing. The housing tends to drip oil, so keep paper towel nearby. 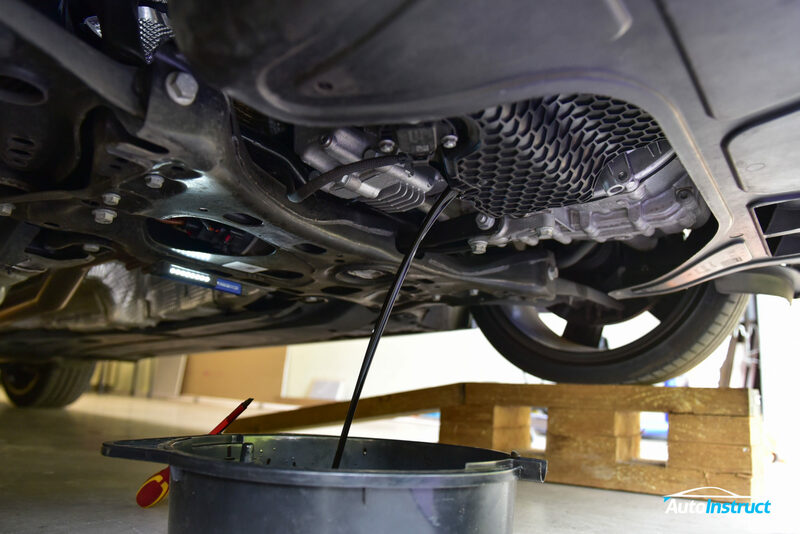 Remove the oil filter from the housing by pulling firmly outwards. Insert the new oil filter into the housing and it will click into place. 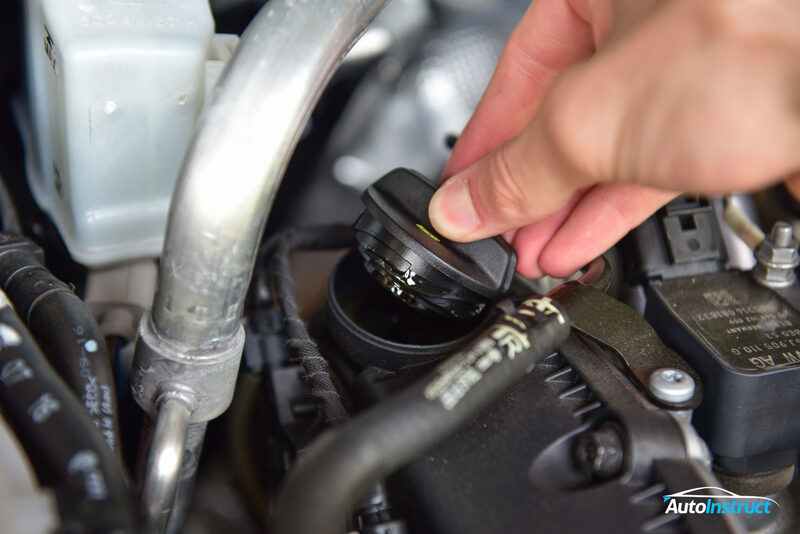 Your oil filter purchased from AutoInstruct will also include a new rubber O-Ring, which also needs to be changed. Sometimes the oil flow valve will also lift outwards with the filter housing. It can be re-inserted into either the engine or housing before reinstalling. There are a few variants of this part, and yours may look slightly different. Reinstall the oil filter housing and torque to spec. You will find the torque specification written on the filter housing. We will now drain the engine oil. 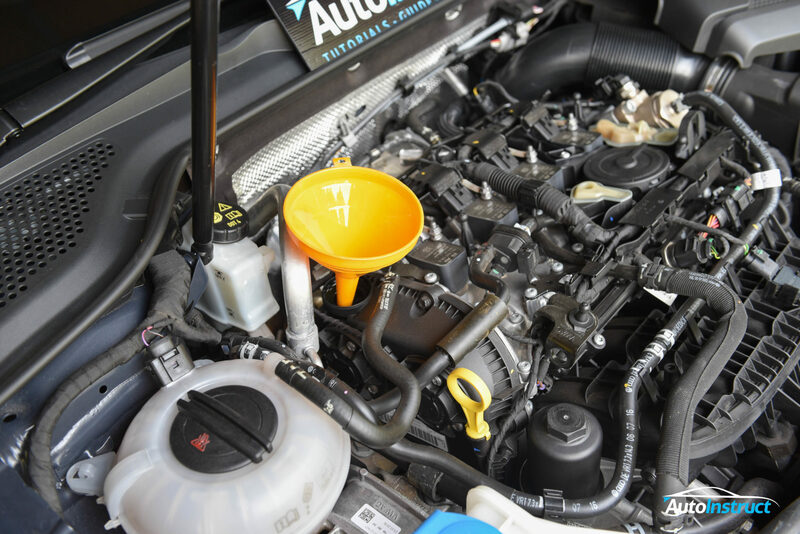 Remove the filler cap and place aside. This will allow the oil to drain faster. 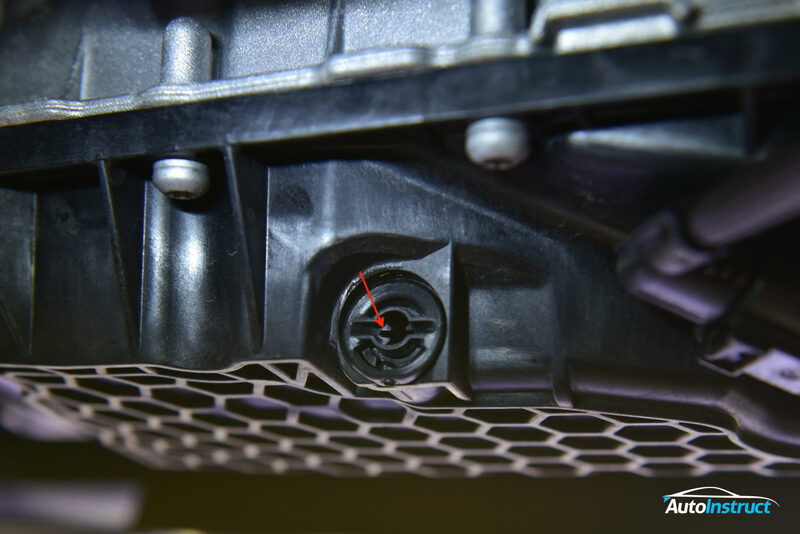 Locate the sump plug under the engine, and place your oil pan in position. Using a medium sized flathead screwdriver, insert into the slit and turn anti-clockwise to remove. The oil will now drain into the pan. 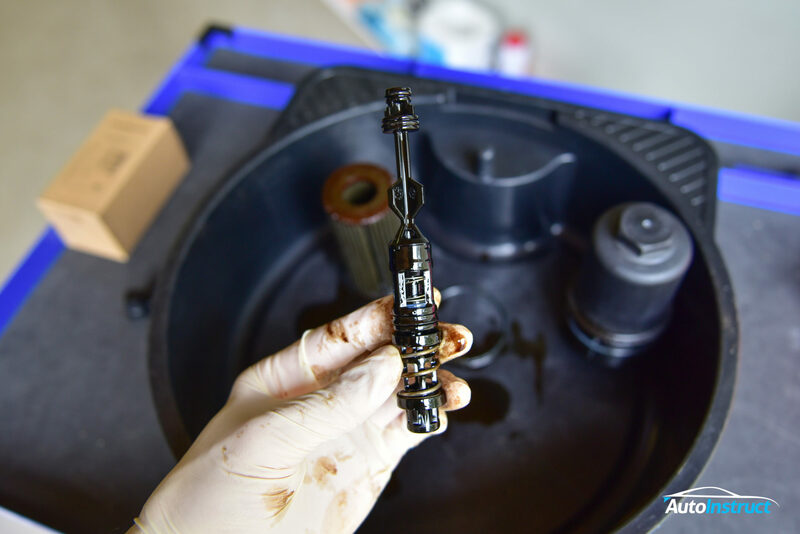 Once the oil has drained, install a new sump plug. Do this gently to ensure it is not cross threaded. When tight it will ‘click’ into position, do not turn it any further. It will not tighten like a traditional sump bolt. We will now fill the engine with approximately 5.7 Litres of oil. 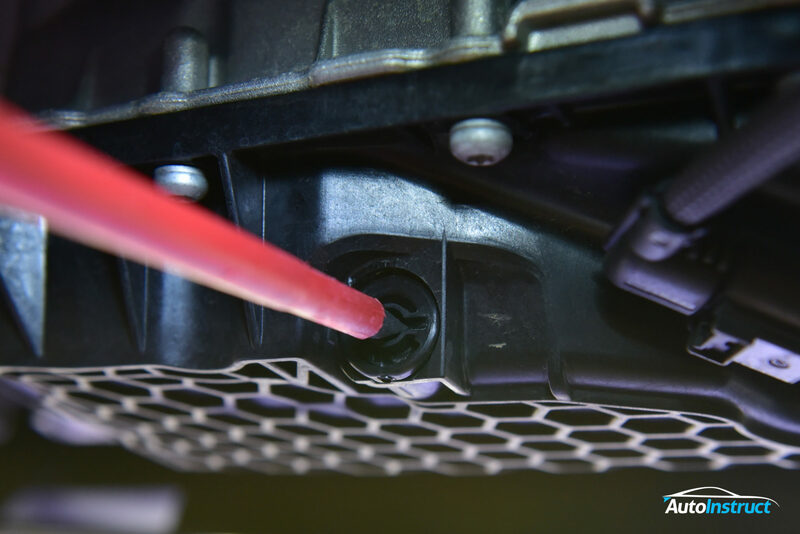 When filling the final amounts, regularly check the dipstick to ensure you are not overfilling the engine. Once filled to the required amount as per the dipstick, close the oil cap and start the car, idling for one minute. This will flow the oil around the engine and through the filter. 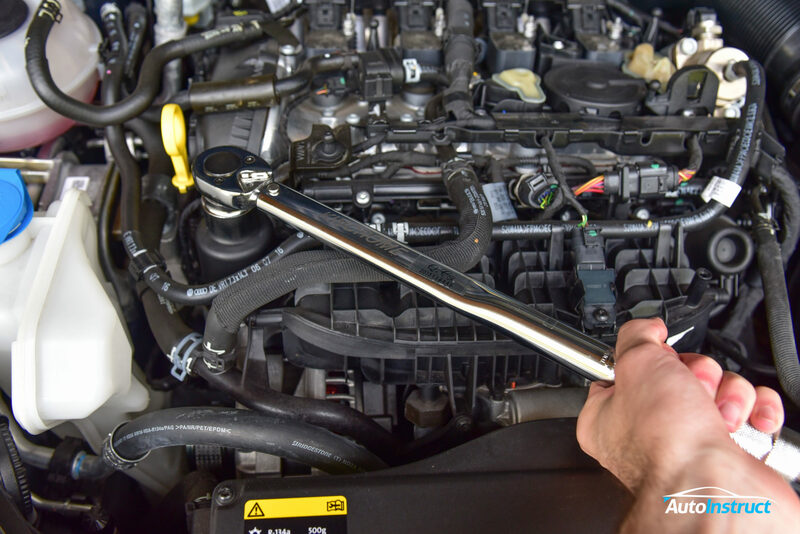 After switching the engine off, wait 5 minutes and check the oil level again, ensuring you are within the acceptable range of the dipstick. Top up if necessary. You guys make everything so easy to understand ! I have a question regarding to your post step 4 “please note” section. 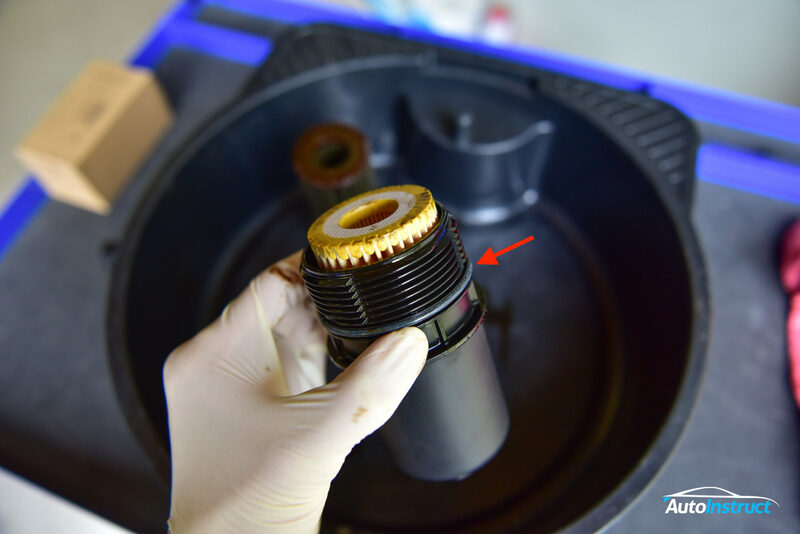 When i changed my oil 1.5 weeks ago, the oil flow valve did not came out together with the filter housing and filter. at the time, i though my 7.5 GTI is bit different than MK7. so did not pay attention. I just re-attached new filter and its housing back. Did i miss something here? 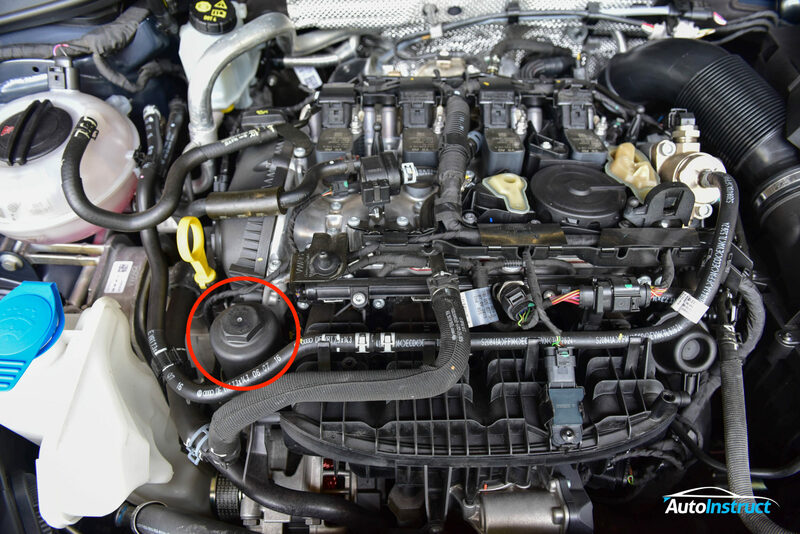 Could you give some insights regarding the oil flow valve? pictures? how it is supposed to be sitting inside engine or in filter housing? Hi Leo, Unfortunately we don’t have any other photos of the valve setup, other than what is pictured. If it did not come out it is likely to be in the correct position, and your filter simply slipped over the top of it.